The challenges associated with the integration of Distributed Energy Resources (DERs) in the electrical grid are among the main motivations for the implementation of Smart Grid functionalities. Bi-directionality of power flows leads to a potential imbalance between load and generation, requiring more dynamic voltage control mechanisms. Although the Smart Grid communication capabilities make it possible to implement more optimal centralized voltage control mechanisms, it may be still useful to have backup distributed mechanisms that are able to keep an acceptable operational level even upon communication failure due to equipment malfunction or intentional damage. Based on this need, this paper presents two droop-based voltage control algorithms, which can operate in the absence of a communication infrastructure. A time-division mechanism is used to avoid conflicts between decisions at the local level. The results show that the distributed algorithms are able to acceptably approach the performance of a centralized algorithm. 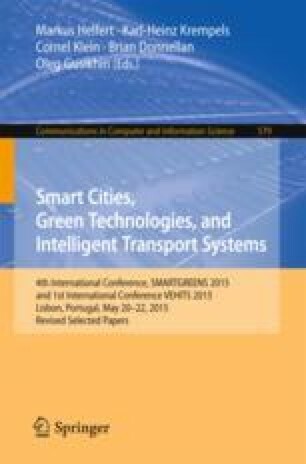 This work was supported in part by European Community’s Seventh Framework Programme (FP7-SMARTCITIES-2013) under Grant 609132 (http://www.e-balance-project.eu/), in part by national funding from QREN through the “Monitorização e controlo inteligente da rede de Baixa Tensão” (Monitor BT) project and in part by FCT – Fundação para a Ciência e a Tecnologia, with reference UID/CEC/50021/2013.